From most popular attractions to events and exhibitions hosted at museums and other historic sites, explore all that San Francisco has to offer year-round. Stay busy with this list of 50 things to do. Explore the best of San Francisco and see what the city has to offer. There are a lot of attractions, museums and events packed within the 231.89 square miles of this city in California. If you know where to look, you'll find that there's never a shortage of things to do throughout the year. My family is truly lucky to call this place our home. Here's a list of our 50 most favorite activities throughout the entire year. They'll give you a taste of what San Francisco has to offer, and show you just how amazing this city truly is. 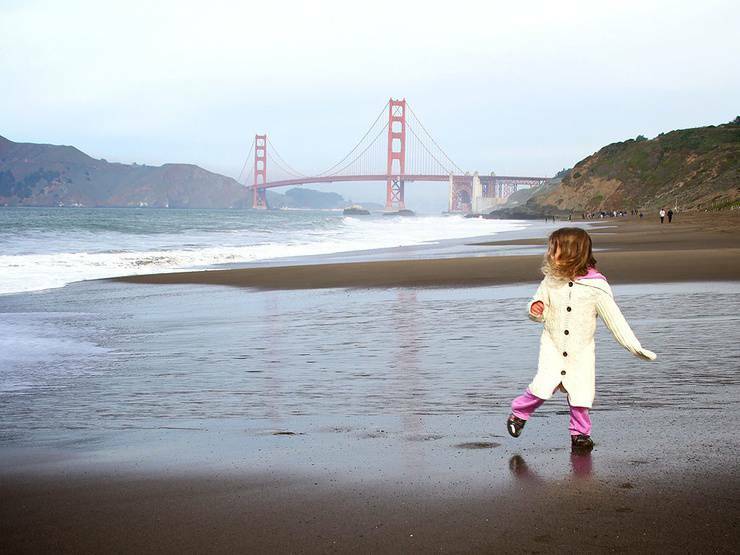 1- Spend a day on the beaches at Crissy Field. You'll feel like you're in paradise! 2 - Walk The Woodline and be amazed at the cypress trees growing in and out of the eucalyptus. 3 - Watch archaeologists excavate El Presidio de San Francisco, which is a Spanish-colonial site. 4 -Enjoy the sights and take a walk on the Golden Gate Bridge. The full walk across the bridge is about 1.2 miles, so pack and plan accordingly. 5 - Blow bubbles in the yard and spend some time walking around the block. Set up an inflatable pool to cool down from the heat. 6 - Jump as high as possible at the House of Air. 7 - Swim some laps at La Petite Baleen. They offer family swim time and swimming lessons for kids of all ages. 8 - Have fun playing at the Julius Kahn Playground. The playground features an array of unique and challenging play equipment, along with wet sand play sculptures. 9 - Go camping at the Rob Hill Campground. This is the only legitimate campground in San Francisco, so reserve a spot as soon as possible. 10 - Hike or bike around Angel Island. This island offers some of the most beautiful views of the bay area. 11 - Teach the kids how to golf at the Presidio Golf Course and Clubhouse. 12 - Watch cyclists take part in the Amgen Tour of California. This is a great way to introduce the kids to cycling and to peak their interests for when they're older. 13 - Learn more about the rainforests at the California Academy of Sciences. There's an amazingly educational four-story rainforest that will absolutely baffle the kids' minds. 14 - Tinker with various contraptions and devices at the Exhibits at the Exploratorium. These hands-on exhibits teach everything from light and sound to human perceptions and emotions. 15 - Venture onto the USS Pampanito, which is one of the two WWII subs docked at Pier 45 in Fisherman's Wharf. 16 - Enjoy a 60-minute trip on the San Francisco Bay Cruises. Get some great views of the Golden Gate Bridge and Alcatraz Island. 17 - Grab a treat at San Francisco's Fortune Cookie Factory. This is where the fortune cookie was first created. 18 - Fly a kite on the field or at the beach. 19 - Ride a paddle boat on Stow Lake. Pedal boats cost $19 to rent and rowboats cost $14 to rent. 20 - Head to Stinson Beach to bathe in the sun or to have a picnic. 21 - Watch from the sideline or join in on the action at Bring Your Own Big Wheel. Designing the vehicle will be half the fun! 22 - Visit the library and grab some good books to read. Join a book club if one's available. 23 - Enjoy KidsFest at the Zoo on October 13 at San Francisco Zoo. There'll be exclusive wildlife performances, live music, face painting and other fun activities. 24 - Grab a bite to eat at the Off the Grid Picnic at San Francisco's Presidio. 25 - Have some fun while exploring haunted houses and going on spooky rides at Scaregrove. 26 - Rock to the concert at Hardly Strictly Bluegrass at Golden Gate Park. There'll be over 90 musical artists performing on 7 stages. 27 - Celebrate Mother Earth at the Bay Splash event at the Eco Center at Heron's Head Park. 28 - Take part in The Big Draw Festival at The Walt Disney Family Museum. This fun event celebrates Walt Disney's contribution to the entertainment and art industry. 29 - Enjoy a cozy movie night at The Rabbit Hole Children's Theater. Winter flicks include Ratatouille on February 23 and The Little Mermaid on March 9. 30 - Hunt down the heart sculptures in downtown, San Francisco. These heart sculptures are part of an annual fundraiser for the San Francisco General Hospital Foundation. 31 - Bowl at the Presidio Bowling Center, which features 12 bowling lanes. Choose lanes with bumpers for the kids. 32 - Keep your eyes to the skies for the San Francisco Fleet Week Air Show. One of the major highlights include the aerial maneuvers of the Navy's Blue Angels. 33 - Support the Golden State Warriors and give the kids a taste for basketball by attending a home game. 34 - Indulge in the arts by watching a ballet performance at the War Memorial Opera House. The Nutcracker is especially popular during the holidays. 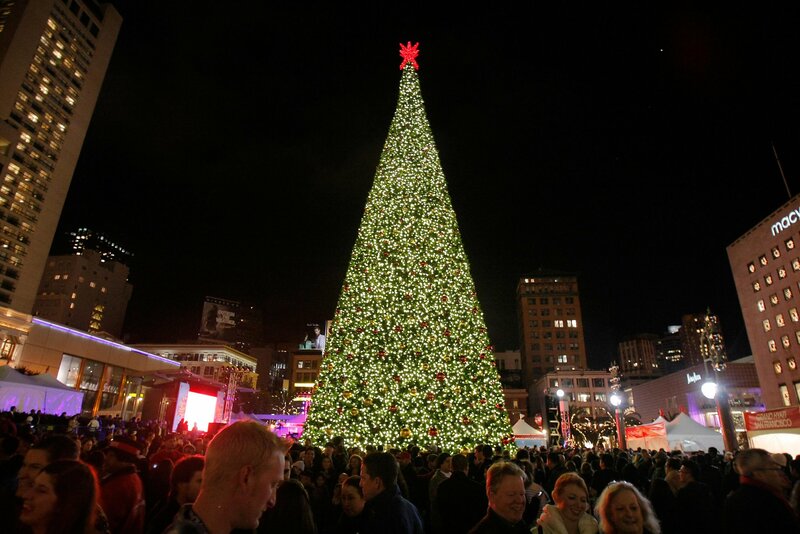 35 - Celebrate the holidays by attending some tree lighting events. The Union Square Tree Lighting Ceremony is particularly beautiful and draws in huge crowds each year. 36 - Be amazed by a live musical performance at the Orpheum. 37 - Drink some hot chocolate while taking a walk around the block. Boulette's Larder offers a divine hot chocolate drink that is much like sipping on a bar of chocolate. 38 - Enjoy A Christmas Carol performed at the American Conservatory Theatre. 39 - Pass the time by teaching the kids how to bake some sneaky healthy treats. 40 - Get overloaded by seasonal decorations on the FOOT! Luscious Lobbies tour. The tour explores Nob Hill and Union Square. 41 - Take a ride on the Hornblower Classic Cable Cars by going on the Holiday Nights and Sights City Tour. The 70-minute tour is a holiday tradition filled with hot chocolate, Santa hats and holiday songs. 42 - Be amazed by the firework display during New Years. Book boat rides or simply find a good spot by the waterfront. 43 - Go ice skating at the Union Square Ice Rink. The iconic plaza is filled with beautiful lights for an unforgettable experience. 44 - Step into The Ice Cream Bar for some ice cream or other cold treats that match the weather. 46 - Have a great time at Holiday in the Park at the Six Flags Discovery Kingdom. Watch synchronized light shows, slide down a giant snow hill and enjoy other festive activities. 47 - Family game night! 48 - Grab a herbal tea, or hot chocolate and drive through some of your local neighborhoods to check out Christmas decorations and lights. 49 - On a chilly December evening, grab your favorite Christmas movie (ours is Elf) and make your home a theater. Don’t forget the popcorn! 50 - Buy a Christmas tree and decorate it with the entire family. There you have it -- all 50 things to do! San Francisco truly is a city of many wonders. You'll have a lot of time exploring the many events and activities it offers with your kids.  For more fun things to do with your kids, check out our Events page. We are always adding cool, new, and sometimes FREE family-friendly events!